Its been quiet here but SCCH hasn't gone anywhere. I have partnered with Innovative Motorsport Solutions which is now handling sales though www.im-s.net Once everything is settled I will be expanding to the newer VW / Audi's. After 12 years of living in Southern California and having the fortune of working with some of the industries best SCCH has relocated back to New Hampshire Where I grew up. The new Shop is roughly 2000 Sq feet and I am located in Greenland NH Just out side of Portsmouth. In the coming Year I will be finishing construction on my new 3000 Sq Foot Garage On the property of my new home where the business will be run out of. Needless to say the last year has been extremely hectic with a Large move, new Wife and New customers! SCCH will continue to offer the VAG market Innovative products and I look forward to working with all my old and new customers in the future! SCCH has just added a customer Testimonial page! If you are a returning customer take a look at some of your fellow peers cars.You can also feel free to send us a e-mail and picture of your car if it is currently running an SCCH part. I will happily add it to the site. SCCH equiped Honda s2000 in Sport compact car. Sport Compact Car. Mated with the JIC Magic coilovers the car really came alive on the track check out the video link below. SCCH is Proud to announce our Release of our VW MK II/ Corrado spherical bearing kits for the factory A arms, In addition SCCH is releasing the MKII /Corrado Bump steer elimination kits and Spherical Ball joint replacement kit with newly re-designed Generation II drop pins. Please navigate to the parts page and selected these new items for pictures and information. 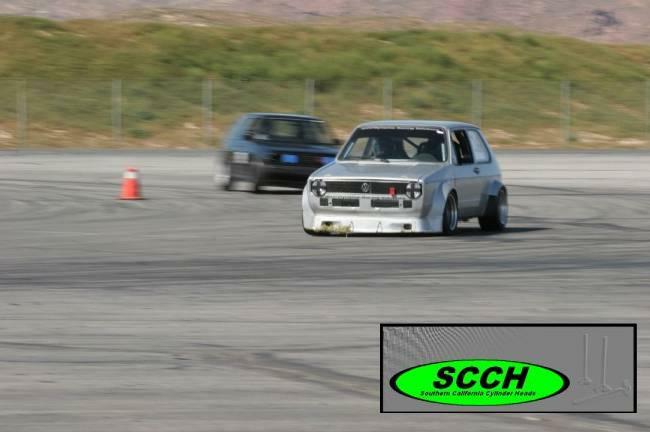 SCCH was founded in 2005, specializing in porting cylinder heads. In addition, SCCH offers a variety of other services such as machine work, welding (TIG/MIG), custom fabrication, and composite work.